Over 5000 years ago, Chinese Taoist sages discovered Qi, the fundamental energy force that animates and sustains all living things, and that fuels all activity, movement, growth, healing and renewal in the natural world. They recognized Qi as the primary energy source, or ultimate life giving substance, which we extract from oxygen, food, water and sun in order to live. They saw that Qi flows in two polarities – Yin & Yang – and that our Qi is stronger and plentiful in our youth, and dissipates as we age, according to our lifestyle and habits. So they devised methods and practices, called Qi Gong, to conserve and increase Qi, health, vitality and longevity into old age. These Qi Gong methods include movement, breathing and meditation exercises, relaxation and visualization, and healthy diet and lifestyle habits. Chinese Taoist sages also discovered Yin and Yang. These primary, counter-balancing opposites in all energy and matter contain the full spectrum of qualities that characterize all processes and cycles of life, action and change in the universe. (That spectrum also includes balance, or neutral.) We know Yin and Yang as positive/negative, darkness/light, active/passive, excess/deficient, full/hollow, cold/heat, black/white, feminine/masculine, winter/summer, moon/sun, sleeping/waking contraction/expansion, left/right, consciousness/unconsciousness, death/life. Blood belongs into the category of Yin. Blood is the most important element in women. Qi belongs to the category of Yang. Qi is the most important element in men. Nourishing Qi and Blood through healthy diet, exercise and lifestyle habits keep Yin and Yang stable in our bodies. As we go through life experiencing stress, lack of exercise, poor dietary and lifestyle habits, Qi and Blood can become deficient, damaging Yin and Yang. This is the recipe for early aging. Yin/Yang dynamics occur in our body chemistry – acidic/alkaline, calcium/magnesium, sodium/potassium, and in the x and y chromosomes in our DNA that determine male or female characteristics and hormones. We experience Yin and Yang in our emotions through crying and laughing, anger and calmness, hate and love, envy and admiration, fear and courage. (Not surprisingly, yin and yang emotions generate yin and yang body chemistry responses that are toxic or healing.) Yin and Yang also occur sub-atomically as electrons/protons, with neutrons being neutral. And they occur in electromagnetics as negative and positive electrical charges, and North and South Pole magnetic charges. These ancient sages also discovered the meridians, an internal network of energy pathways that conduct Qi throughout the body, nourishing our blood, muscles, tissues, ligaments and bones. (The body has many Qi circulating systems.) They found numerous points along each meridian that connect to and can affect all the organs, parts and processes in the body. They found that pressing meridian points at various locations and at different depths had a wide range of healing, energizing and balancing effects. These include: Stimulating Qi and blood flow to and from connected areas, organs and body parts; energizing, calming and balancing the nervous system; dispersing the stagnations of Qi and blood that occur with injuries and traumas; nourishing depleted Qi and blood; energizing the immune system; and flushing and clearing toxins from the body, such as bacteria, viruses, phlegm, and various poisons. These sages began using sharpened stones and bamboo slivers to press and stimulate these meridian points. They found that this increased the healing, balancing and rejuvenating effects. 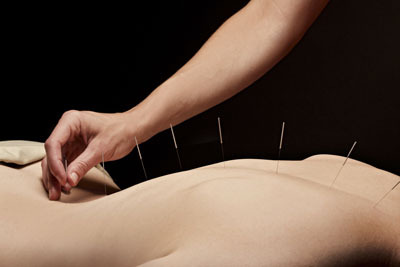 When they began using gold, silver and metal needles, modern Acupuncture was born. Modern research has discovered a correlation between many nerve pathways and the meridians, which run parallel to arteries, veins and smaller arterioles. Research has also discovered that nitric oxide, one of the most important molecules for blood vessel health, appears on the exterior and interior of the skin over every meridian. For centuries, Chinese healers continually developed, refined and added to this extraordinary body of medical knowledge. They passed it down from generation to generation, from master to student and parent to child in various temples, schools and family lineages throughout China. This body of knowledge was first published 2800 years ago in ‘The Yellow Emperor’s Classic of Internal Medicine’, still regarded as a main source-text. Eventually it spread throughout Asia – to Japan, Korea, and Vietnam. For several millennia, Chinese medicine has been revered for its profound insights into health, disease, vitality, longevity, and the body’s bio-energetic processes. Western medical research has confirmed the validity and effectiveness of many of its discoveries and methods. Today, acupuncture is the only indigenous medicine practiced in hospitals around the world.